Place a griddle pan on high heat, cut the bagels and place a tiny dollop of butter on each. Place in the pan and toast. Get the salmon out of the fridge and evenly divide into 2 portions, slice the limes and wash the coriander. Watch the video to learn how to make the eggs. 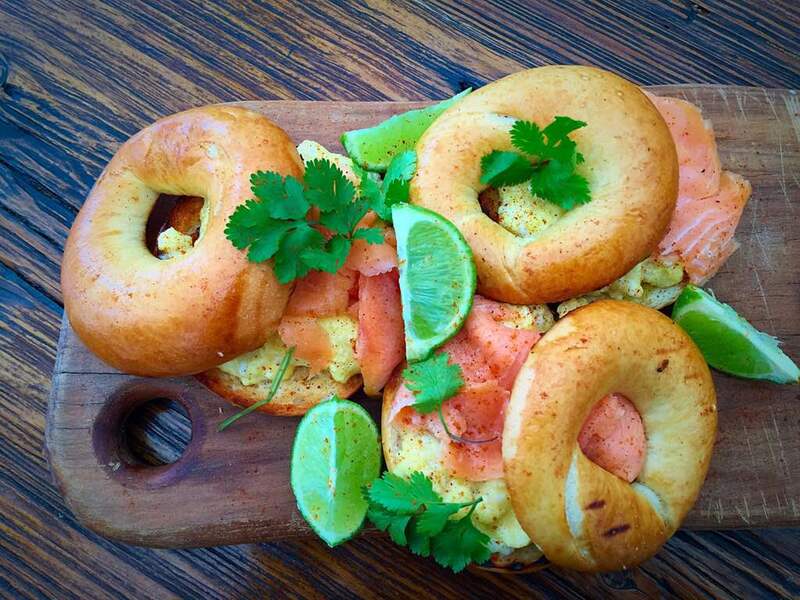 Once the eggs are cooked place them on top of the toasted bagels, top with smoked salmon, coriander, a dusting of cayenne pepper and a squeeze of lime. 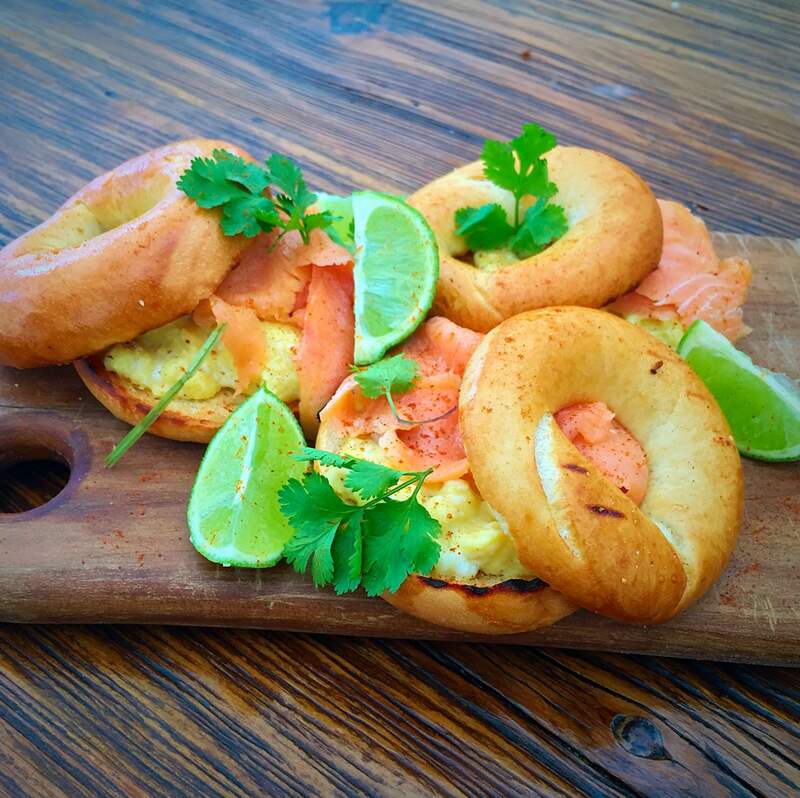 This entry was posted in Breakfast, Fish dishes, Tips and tagged bagels, breakfast, Butter, coriander, crème fraîche, fish, Gordon Ramsay, Mother's day, salmon, tips, YouTube. Bookmark the permalink.